Masterson Station Park, located in Lexington, KY, encompasses more than 650 acres of rolling Bluegrass land and is a rare example of land conservation for equestrian use. Originally housing a federally-run center for the treatment of citizens addicted to narcotic drugs, in 1974 a portion of the land was transferred to the local government for recreational use, a gift which was given with the requirement that the land always be used for public open space. Today, Masterson Station Park is a shining example of how equestrians, urban citizens, and city government can mutually benefit from a cooperative relationship. Owned and operated by the Lexington-Fayette Urban County Government, the facility is located less than five miles from the city center. 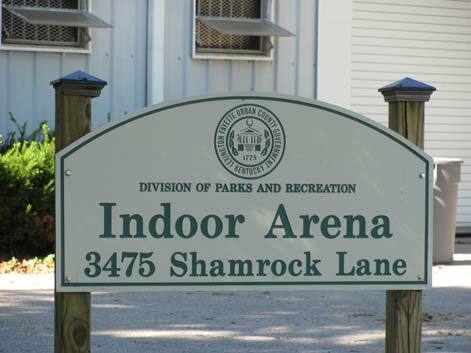 Although increasingly surrounded by housing developments over the last two decades, Masterson serves as an oasis in the growing urban sprawl with amenities to enjoy for all local citizens, including a dog park, picnic shelters, playgrounds, hiking/bicycling trails, soccer fields, and is home to the annual Lexington Lions Bluegrass Fair. In addition, Masterson includes expansive horse facilities, including an indoor and outdoor riding arena complex, stabling, cross-country course, and hundreds of acres of open riding space that is available to the public at little or no charge. A variety of events and clinics for all disciplines are held throughout the year, and the park also features an equestrian program which introduces the public to the fundamentals of riding as well as general horsemanship.